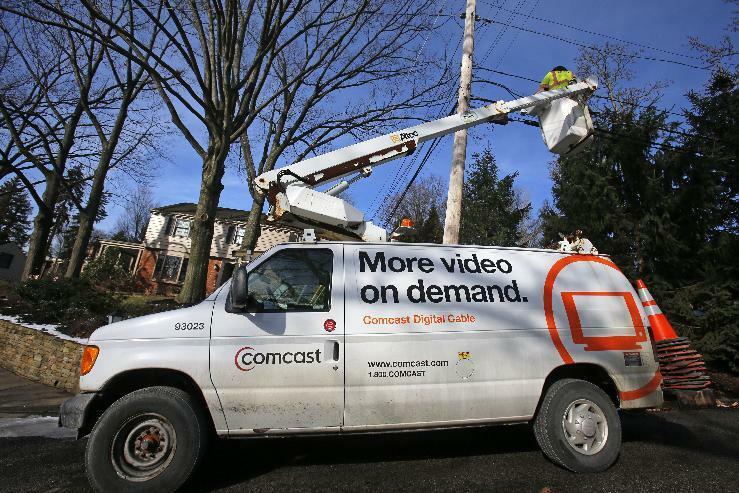 PHILADELPHIA (AP) — Comcast Corp. added 43,000 video subscribers in the fourth quarter — the first quarterly gain in six and a half years — as the nation's top cable TV company said that uptake of its X1 set-top box helped it retain customers and boost video-on-demand spending. The company also said Tuesday that it has hiked its share buyback authority and is raising its quarterly dividend. Its shares rose in premarket dealings. Philadelphia-based Comcast is rolling out its X1 platform to new customers who sign up for at least three services — Internet, video and voice — and to other top customers where it has supplies. The set-top box allows users to navigate a slick interface like a website which can be controlled through mobile device apps and gives access to more content delivered via the Web. For the upcoming Winter Olympics from Sochi, for example, Comcast is bringing the breadth of NBC's live online coverage to big screen TVs for the first time through the X1 platform. The company said it is boosting its share buyback authorization to $7.5 billion — up from $1.5 billion authorized currently — with $3 billion to be spent in 2014. It raised its quarterly dividend by 15 percent to 22.5 cents per share. Its shares rose $1.58, or 3 percent, to $54.07 in premarket trading about 90 minutes ahead of the market opening.